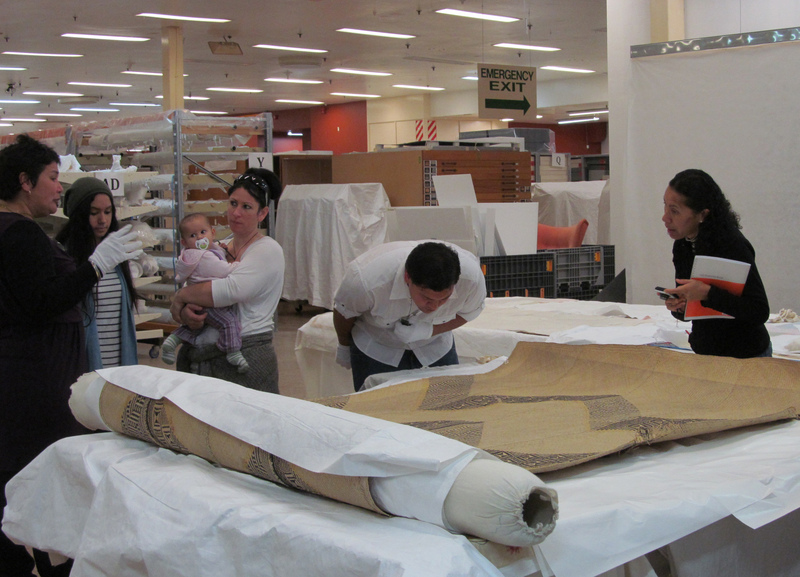 Last week we were delighted to have some special visitors to the Hawke’s Bay Museums Trust collection. A group of avid raranga harakeke (flax weaving) enthusiasts, mostly students, had arranged to come in to research techniques and examine customary methods of toi raranga – the art of Māori weaving. 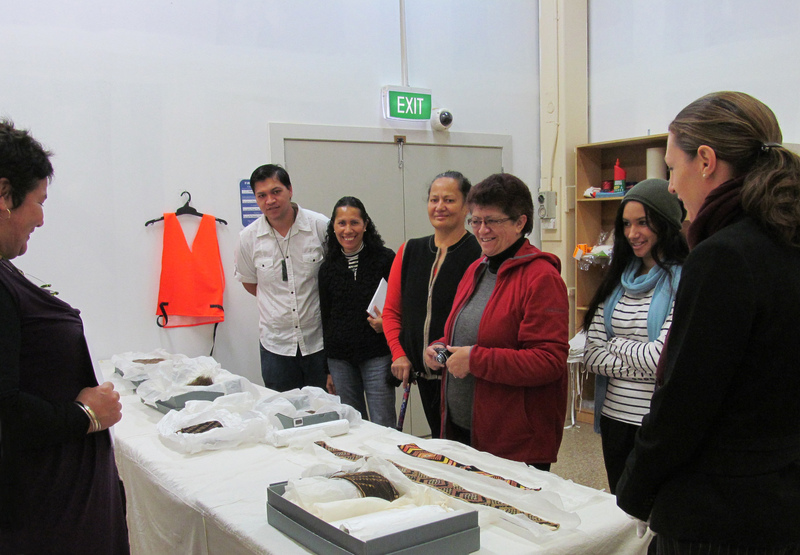 The manuhiri (visitors) were keen to view the tāniko and raranga harakeke items in the collection. Tāniko is a uniquely Māori variation of whatu (twining). 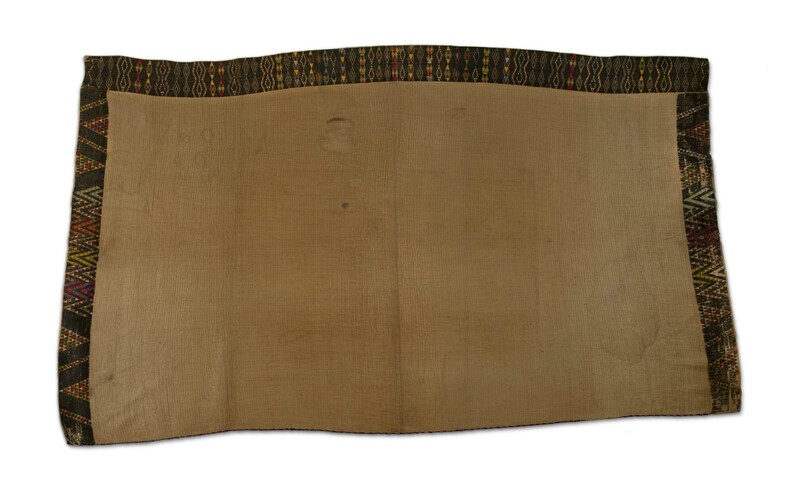 The weavers counted and measured sections of work to establish how things were done back in the day. We can say for sure that the raranga experts of the past were incredible mathematicians and designers. 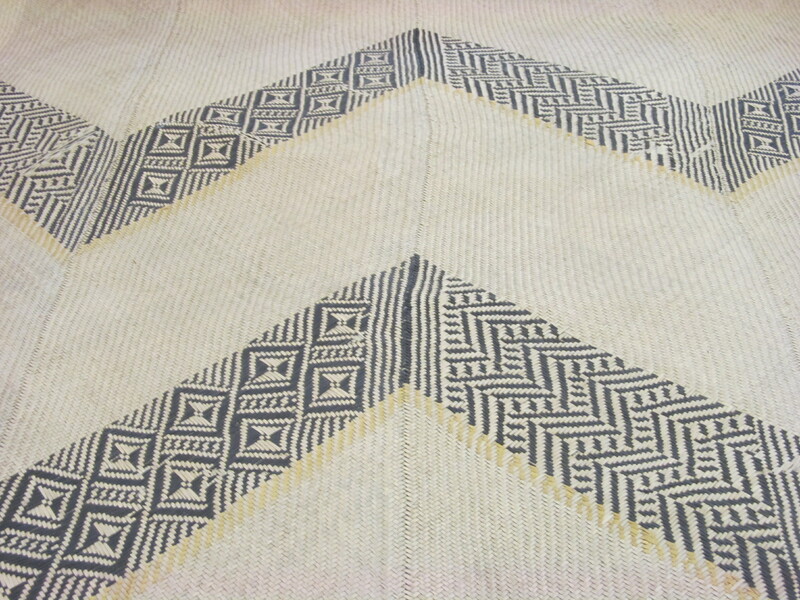 We looked at a variety of woven harakeke items, including whāriki (floor coverings), kete (baskets) and kahu (cloaks). We have some really special examples in our collection and it is always a privilege to “give them life” by bringing them out from their protective storage and sharing them with people who are truly excited to view them up close. All the books and photographs in the world do not give you the look, smell and “age” of the real thing. 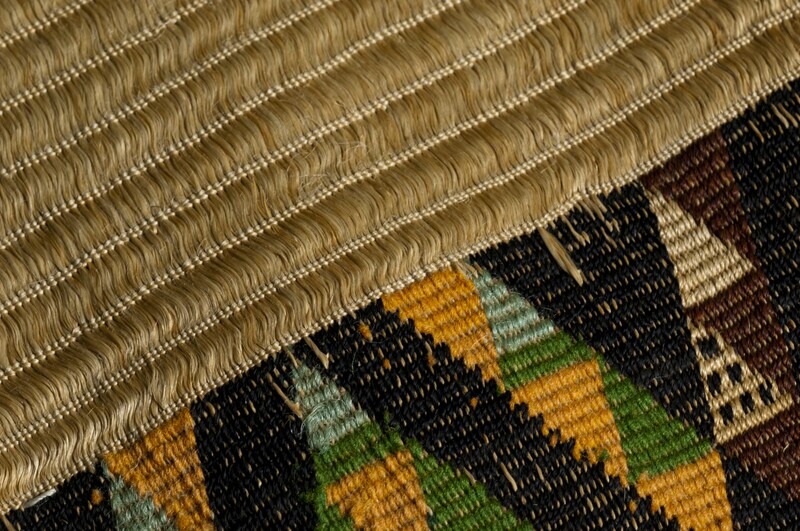 Māori weavers developed tāniko by using coloured horizontal threads with the whatu technique. By weaving the colours together detailed geometric patterns can be created. Tāniko is a very complex technique. On cloaks tāniko is only used as a border, making use of the same threads as the cloak’s main body, so weavers plan the entire cloak before beginning to weave. 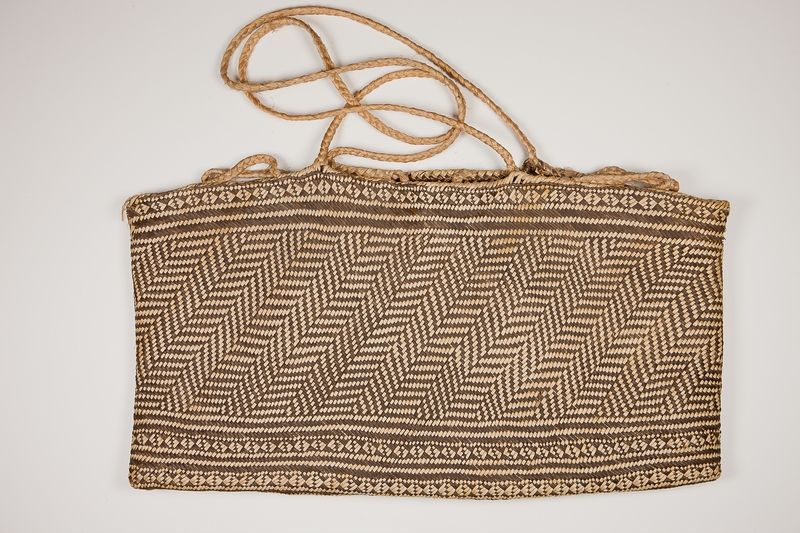 Tāniko is also used to make pari (bodices), tīpare (headbands), tāpeka (sashes), tātua (belts), and taonga whakapaipai (jewellery). Kia ora to our generous visitors for their enthusiasm and sharing of knowledge. Your visits make our job really enjoyable and worthwhile. and Karen Roberts (Whanganui) who are studying with Te Wānanga o Aotearoa for Te Maunga Kura Toi – Bachelor of Māori Visual Arts, majoring in raranga. Both studying with Te Wānanga o Aotearoa for Kawai Raupapa Diploma in Māori Visual Arts majoring in raranga. Ani McGuire (Heretaunga, Kohupatiki te marae) who is undertaking a weaving commission for Tainui. Kahra, Jahana and Shaatchi Te Whaiti, Alyson’s daughter and mokopuna; the next generation of raranga enthusiasts. Karen and Alyson travel to Te Kuiti each month for study, Debbie and Wiremu travel to Te Papaioea (Palmerston North) but all live either in Ahuriri (Napier) or Heretaunga (Hastings).